Thousands of European Union supporters marched through central London Saturday, protesting the Brexit referendum result. 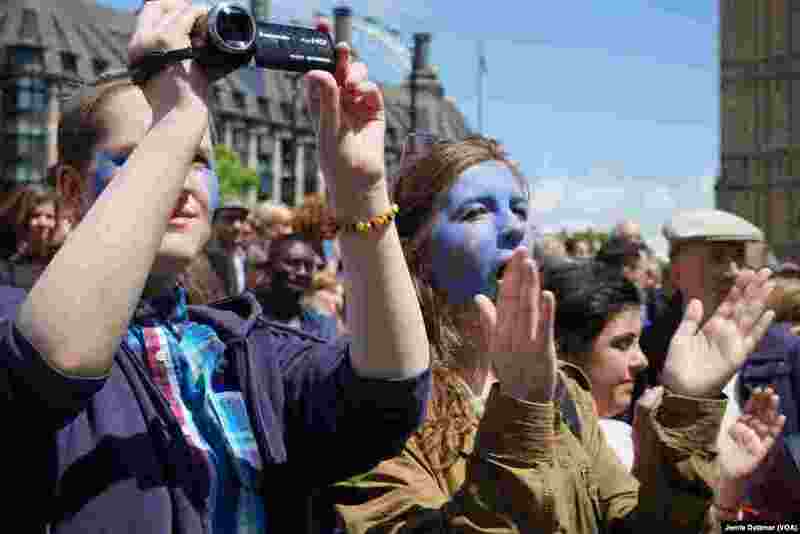 Many participants in the 3-kilometer “March for Europe,” which went from Hyde Park to Parliament Square, said they hoped Britain’s lawmakers would block any moves to leave the 28-nation bloc. Britain voted to leave the EU on June 23. 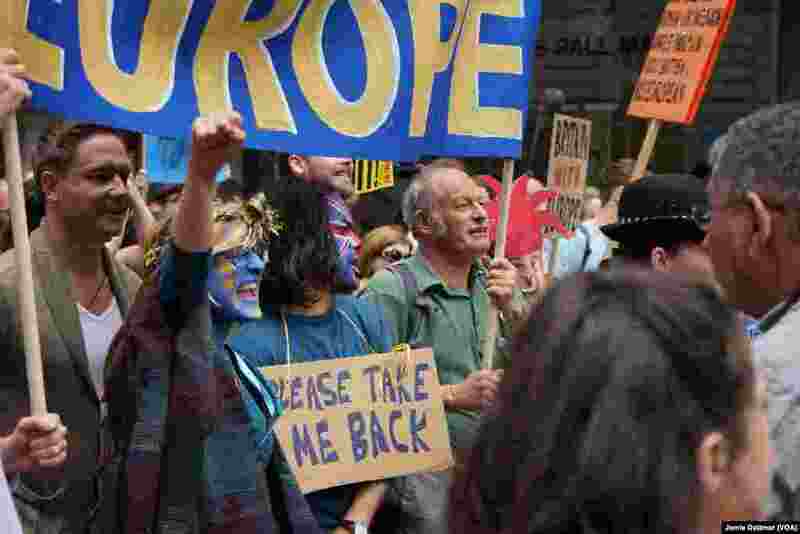 1 Pro-European Union protesters march through Central London demanding that Britain doesn’t break with Europe, July 2, 2016. 2 Young pro-European Union protesters listen to rock star Bob Geldof speak at a rally in London's Parliament Square, July 2, 2016. 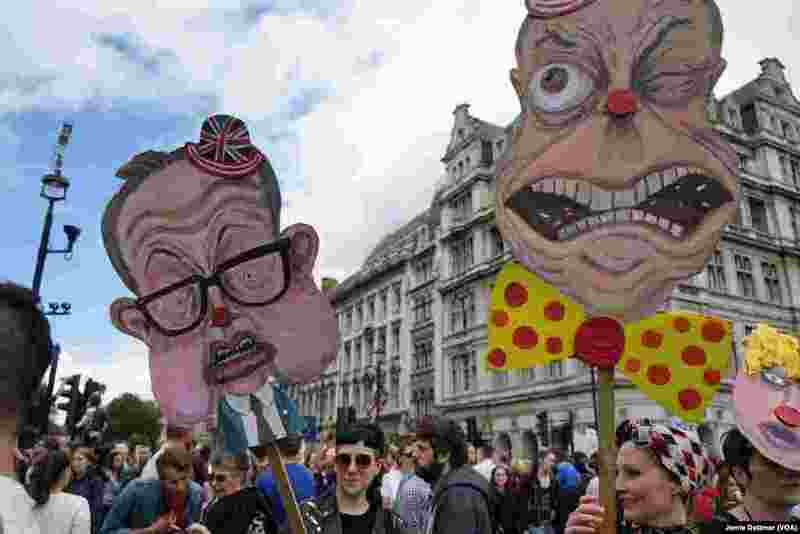 3 Pro-European Union protesters wave banners ridiculing pro-"Leave" Conservative Michael Gove and United Kingdom Independence Party leader Nigel Farage, July 2, 2016. 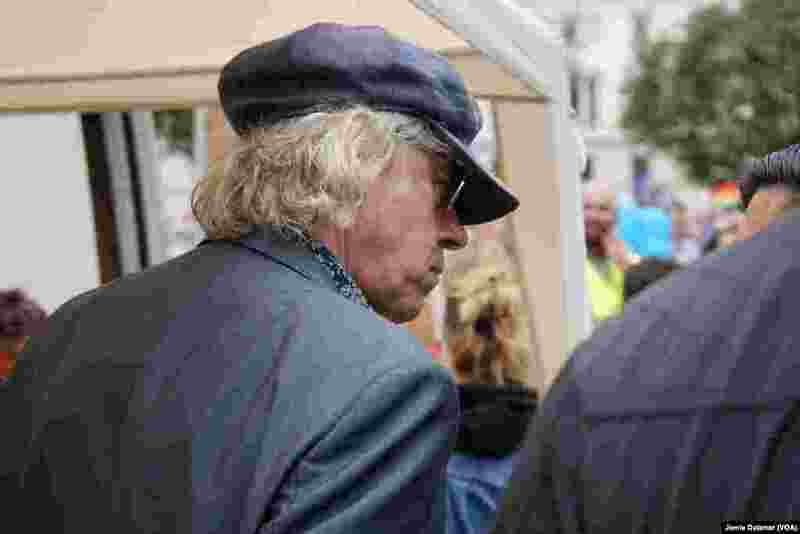 4 Rock star Bob Geldof prepares to speak to the pro-European Union rally held in London, July 2, 2016.